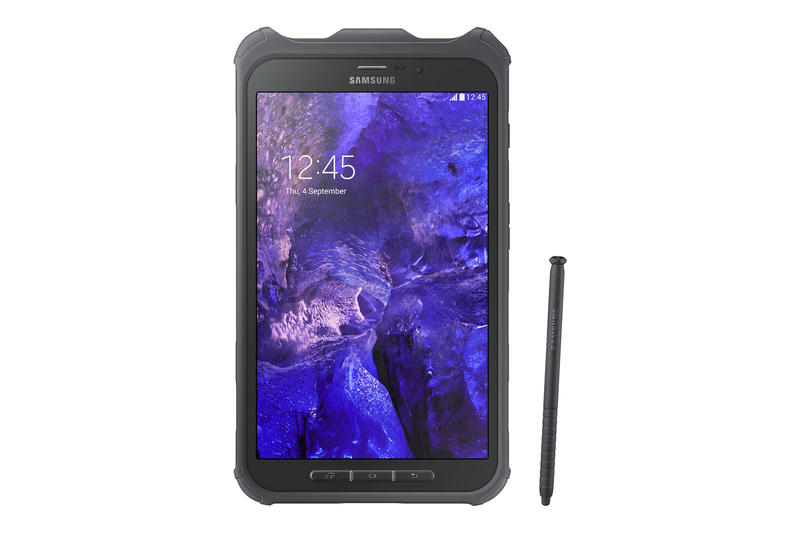 The Galaxy Tab Active boasts 10 hours of power from a detachable, 4,450mAh battery with POGO pin charging, and a UI designed for tough work. It also comes with the variant of S Pen, named as C Pen. The company has added the digital pen for those who have to wear gloves in their field of work can use as an alternative to standard touch input. Running Android 4.4 KitKat, the Samsung Galaxy Tab Active features an 8-inch TFT display with 800 x 1200 pixels, LTE connectivity, Samsung KNOX for enhanced security, 1.2 MP front-facing camera, and a 3.1 MP rear camera. Furthermore, the rugged slate comes with a quad-core 1.2 GHz processor, 1.5 GB of RAM, 16 GB of expandable internal memory, and a 4,450 mAh user replaceable battery (for up to 10 hours of usage). The device weighs 393 grams, and measures 213.1 x 126.2 x 9.75 mm. The Galaxy Tab Active will be available in both Wi-Fi and LTE variants sometime later this year, and will come with the C-Pen and a Protective Cover right in the box. Samsung is only offering the Titanium Green color option. 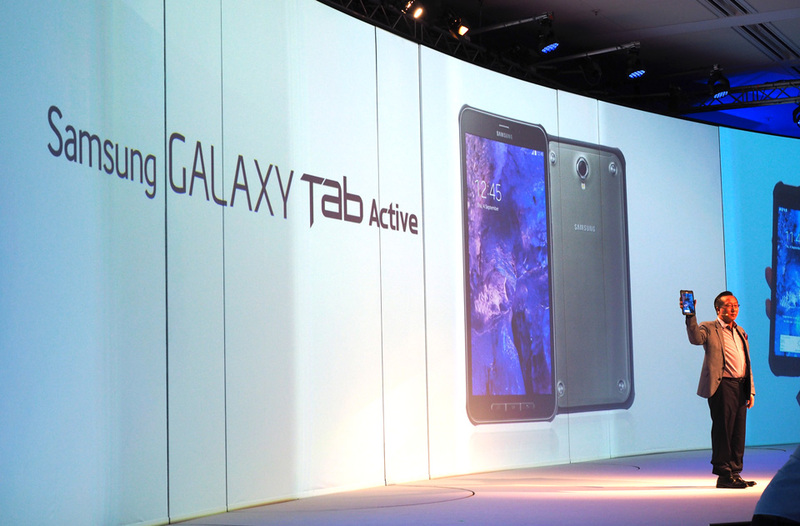 However, pricing hasn’t been revealed, it is expected to be priced same as the Galaxy Note 4. How the Hell do they manage to do these UGLY and BORRRRIIING designs ?